In 2006 African-American civil rights activist Tarana Burke, herself a survivor of sexual violence and a youth activist working largely with children of color, coined the phrase “Me Too” after hearing a young girl’s testimony of sexual abuse. Since then “Me Too” became Burke’s mantra for a campaign to help girls and women who have been targets of sexual harassment, abuse, or assault. In 2017 actor Alyssa Milano’s Me Too hashtag went viral when she tweeted encouraging others survivors to reply back to her with “Me Too”. Milano’s tweet came in the wake of the October 5, 2017 New York Times investigation report on the sexual harassment and assault charges against film producer Harvey Weinstein. The overnight following Milano’s celebrity status generated for the movement was enormous. However, powerful as this celebrity inspired feminism of 2017 has been in foregrounding sexual violence at the workplace, it has generated coalitions among a particular class of society. There needs to be recognition of distinctively different stories of working class and immigrant cisgender women and LGBTQ people as well as visa holding temporary workers in the United States who have faced gender based, racial, and national origin discrimination at the workplace, intensified by their economic and legal vulnerability. I argue that it is time for an UsToo Movement to actively work in bringing to the forefront the testimonies of economic violence that often accompanies gender based discrimination where perpetrators discriminate with impunity, often counting on the vulnerable positions of these populations to assume their own invincibility. Extending popular storytelling beyond celebrity culture to include first-hand accounts and visual evidence from those least empowered to speak out against gender based workplace discrimination because of their economic, legal, and racial/ethnic precarities, redistributes power in the workplace in a way that an elite class based movement cannot. I situate my keynote in the context of the Truth and Reconciliation Commission of South Africa which came under criticism for granting reparations for violence during apartheid by prioritizing sexual and bodily violence on women above economic violence. Basuli Deb is a Global Scholar at the interdisciplinary Institute for Research on Women (IRW) at Rutgers-New Brunswick and a CUNY faculty in English and Women’s and Gender Studies departments. Her work is intersectional and transnational, and she teaches/mentors at the undergraduate and graduate levels. Deb has published a monograph Transnational Feminist Perspectives on Terror in Literature and Culture, multiple sole authored peer-reviewed articles, and co-edited a special issue and two anthologies including Building Bridges in Celebrity Studies. She is now completing another monograph project on a transnational feminist rapprochement between indigeneity and immigration called Breaking Borders, Building Bridges, and working on a third monograph project called Come, Cross the Line: Celebrity Lifestyles and Public Intellectualism that deploys feminist media studies to examine cross-class celebrity work for social transformation. As a featured author, critic, and filmmaker, Deb has been interviewed in journals, print media, conference platforms, television, and web broadcasts. She continues to serve as an invited speaker on academic and public debates at campuses, consulates, and foundations across the US and abroad, and as an external expert for various institutes/organizations. Currently, on the steering committee of the MLA Radical Caucus, she has served in various leadership capacities, such as the MLA Delegate Assembly, the Women of Color Leadership Project of the National Women’s Studies Association (NWSA), and as a founding member of NWSA’s South Asian Feminist Caucus. A Distinguished Fellow of the Indian American Intellectuals’ Forum, Deb brings her professional experience in the fields of global issues, gender relations, and feminist leadership to US foreign policy dialogues. A public feminist, Deb has partnered with NYC Mayor’s Commission on Gender Equity to promote the UN campaign called 16 Days of Activism Against Gender-Based Violence. She is involved with the NGO Committee on the Status of Women that supports the work of the UN Commission on the Status of Women and UN Women. Deb is also a creative writer and media artist, and is invested in social entrepreneurship that implements feminist ideas on the ground, particularly through progressive use of media, social media, and technology. This has led to Deb’s engagements in innovative research partnerships in digital humanities and sociology to bring gendered perspectives from the global south to climate migration. 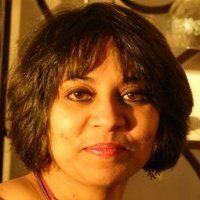 She also serves on the advisory board of the Centre for Media and Celebrity Studies.